Are you ready to work-from-home? Then 2019 is your year! With advances in technology and with corporate attitudes being more acceptive of telecommuting, there are more work-at-home positions than ever before! According to FlexJob’s annual analysis of the top companies that hire remote workers, as of 2017, 43% of US workers now work remotely at least occasionally, up from only, at the most, 9% of workers in 2007. Have more of an entrepreneurial spirit? No problem. According to Early to Rise if you have ambition, vision, desire, and are willing to work hard, you can start a successful online business for less than $500. 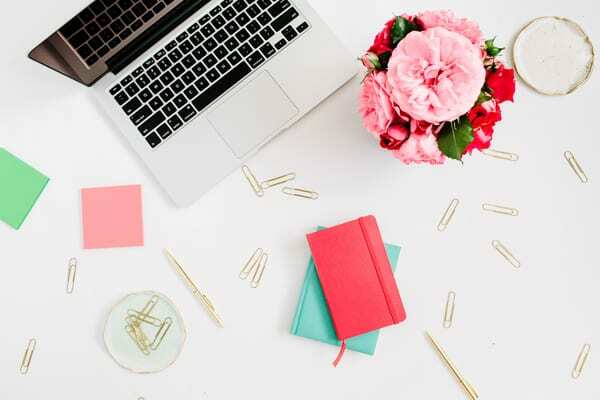 So, if you’re ready to FINALLY work-from-home — here are some great resources, job leads, and information to jumpstart your work-at-home career in 2019! Looking for a Telecommuting Position? According to FlexJobs, the five fastest-growing remote career categories are therapy, virtual administration, client services, tutoring, and state and local government positions. Of course, teachers, writers, developers, analysts, sales reps, nurses, accountants, and program managers are still in high-demand too. Here are the top career fields and companies hiring in these industries. Still, not finding what you’re looking for? These articles will help you find the perfect telecommuting option based on your particular situation. Employment Options, helps qualified job seekers with disabilities (who receive SSDI or SSI benefits) find work-at-home employment for free. In addition to finding suitable remote positions, their certified career counselors assist clients with assessing skills and abilities, application completion, preparing resumes, interview practice, and much more. The Work at Home Woman is geared for U.S. residents, but we do have a post for Canadians and FlexJobs has a great list of international listings. For some reason, surveys, short tasks, and odd jobs get a bad rap. No, they're not going to make you rich, but, they can help you pay down your debt, cover your coffee habit at Starbucks, or add some extra money to your savings account. To be successful with side hustles — you just need to create a plan and execute it. For instance, if you answer four surveys a day, and each one pays $1.00, and you do this for 30-days at the end of the month, you'll have $120! Want to Bring Your Current Job Home? Do you already have a job that you LOVE? Then bring it home by submitting a telecommuting, flextime, or job sharing proposal (and don't assume your employer will say no until you’ve asked). Start by checking your company’s telecommuting policy, if there's nothing in the manual, do your research, and write up a flex time or work-at-home proposal. Be sure to include all of the benefits to the company – including the cost to recruit and hire a new employee to replace you if you decide to quit. Need help writing your proposal? Here are some articles to help you get started. Do you prefer to be your own boss? But you don’t know what to do, and you’re not sure how to get started? No problem. There are many paths you can take to becoming an entrepreneur, from building a business from scratch to purchasing a franchise or business-in-a-box concept. Here are some small business options to consider. The direct sales industry has come a long way in the past 20 years; now offering products from major designers and well-known corporations the opportunities are endless. If you’re not familiar with the direct sales model here’s how it works. For a small startup fee, you’ll get everything you need to start and run a business from home. For each product that you sell — you’ll earn a commission. Most direct sales companies provide you with training, marketing materials, a website, and sample products. For more direct sales opportunities, check out this massive list of companies you can choose to work with! Starting a Business on a Budget? Are you working on a tight budget? No problem. Many home-based business opportunities and courses are FREE or only require a minimal investment. Here are just a few resources to get you on your way. Need more budget-friendly ideas? Check out Chris Guillebeau's book, The $100 Startup where he features a bunch of case studies from successful entrepreneurs who launched businesses on shoestring budgets. Become an Independent Business Owner. With these options, you file your paperwork for a Limited Liability Company (LLC) or an Employee Identification Number (EIN), and you contract with larger companies to provide customer service via the phone. The advantages of this arrangement are you’re given extensive training, and you don’t have to find your own clients. The disadvantages of these options are you have less control over how you run your business, and your earning potential can be limited since you're not negotiating your own rates. Become a Home-Based Franchise Owner. While franchises usually require a substantial startup fee, they can be a low-risk and lucrative way to run your own business. The beautiful thing about a franchise is that all the hard work has been done for you; you pay for the franchise and fees, and you’re given a detailed roadmap on how to replicate the business exactly. But because you’re working with an established name brand, you don’t have as much flexibility in how you conduct business, since you must adhere to the franchise agreement. For a minimal start-up fee, a business-in-a-box gives you a detailed roadmap on how to start and run an at-home business. With this option, you tend to have more flexibility and you don't have to build a team. If you’re up for the challenge, starting a business from scratch gives you the most flexibility regarding how you run your business and how much you earn. The downside is you’re doing it all on your own and figuring out the components as you go. Need more ideas? This post has 99 work-at-home ideas to get your creative juices flowing. No matter where you're at on your career path, we have training resources that can help you get to that next level. See these to get started. So what’s the best work-from-home opportunity for 2019? That’s for you to decide! There is no one-size-fits-all career solution when it comes to choosing a work-at-home opportunity, but I think each one of these is a good option. Now that I’ve shared my take on the best work-from-home jobs for 2019 – I want to know what you think! Leave a comment and let me know: What’s your favorite way to make money from home? Or what type of business do you run? Originally published December 22, 2016. Content updated January 1, 2019. This blog if wonderful, I am from Mexico and I am waiting for my contract to start working in isoftstone. Most of this companies do not contract international. CAN you make an article with international oportunities for moms that follow your blog and want to work at home?? Good morning, love the post! As a wife and parent to old kids I fear that I won’t make enough to cover my financial needs, how do we know or how can we make sure this is something that will really work? I’m looking for full time work at home jobs, but there are so many out there!! I am scared to take the leap of faith! Great post!! Very informative!!! Any advice on home based opportunities with benefits? I have two teenagers, one getting braces. I need health insurance so I am reluctant to quit my job for a work at home positions. I am from macedonia.Work from home for me??? That’s great, Sasha! Good luck on taking your hobby full-time. My biggest goal for this year is to be able to quit my job and make money from home while spending every day with my daughter. Thank you for posting this list! I am in the process of starting a blog and plan to get started with a direct sales company as well. I’ll be coming back to your site for more ideas in the future. Thanks! Glad you enjoyed the list, Sami. Good luck on your work-at-home journey! As I am connected with thousands of work at home moms, I have always been asked for different ways to earn extra money. Although I suggest them to go for a career in transcription, here I can find lots of other ways to make good money. I’ll forward these ideas to them. Thanks for sharing. Please suggest a good home based online income, that is genuine n no investment required. I just want to work and get paid for the work. I am grateful for all of the information that you put out. However, as a District of Columbia resident, I notice that your list of jobs by state does not contain work at home opportunities for Washington, DC residents. Was this an oversight? A great list of info, need to keep it to go thru later! Glad you enjoyed the list, Diane.